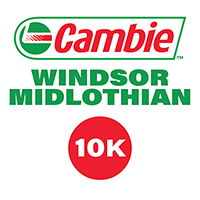 The Windsor-Midlothian 10k route is a run club mainstay at the Cambie Running Room. The Windsor-Midlothian route is a run club mainstay at the Cambie Running Room. It’s a simple route with very few turns, but even so, I also call it 10W33 to help me remember which streets we follow for the bulk of the route: 10th Avenue to Windsor to 33rd Ave. The route heads east on 7th Avenue from Cambie to join the Ontario St. bike route. 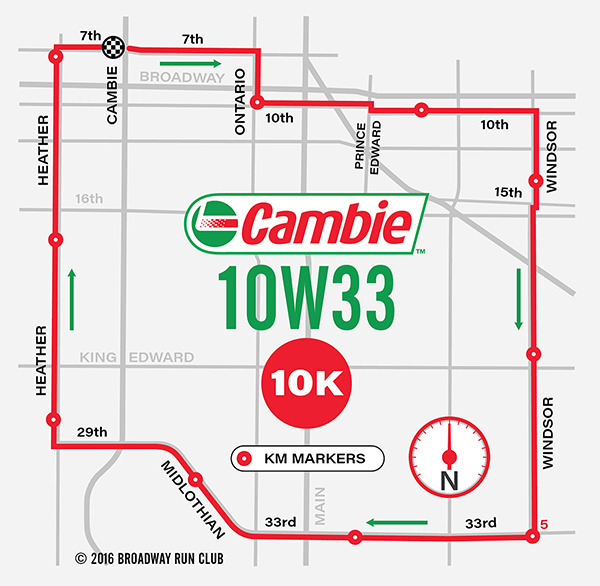 Runners will follow the 10th Avenue and Windsor bike routes before heading west on 33rd Avenue, which becomes Midlothian and eventually 29th Avenue. The run finishes with a downhill bomb on Heather Street back to 7th Avenue.